Great Yarmouth’s natural seaside environment, particularly its wide sandy beaches, safe seas and fresh air provided the fundamental reason for thousands of holiday-makers heading to the resort. Over the last decade Great Yarmouth, like many tourist destinations, have begun to recognise the strategic importance of staging a sustainable events programme to provide an important reason for visitors to head for a particular destination. 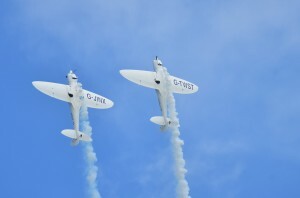 The mix of attractions in Great Yarmouth still remain and still provide a wide choice of activities to amuse, entertain and educate its visitors. In establishing a new emerging events programme it must be recognised that a fine balance of well timed, well-staged and well publicised events must complement and enhance to current offer rather than compete. Custom Cars Fun Run – 1st September – Hundreds of Hot Rod cars starting at Great Yarmouth racecourse then travelled round and visited different areas of the borough – and stopped at each of the locations finally arriving on Great Yarmouth seafront in the afternoon until the evening. Gorleston High Street Christmas Switch On – Sunday 25th November 11am until 7pm An enormously successful event for locals, visitors and traders alike is the Christmas switch on and finale fireworks. Caister Village Experience 25th June 2017 Caister Playing Field – A hoped to be annual festival featuring a procession, carnival queen, poultry & pet show and lots more. Great Yarmouth Fireworks 2017 – 6 displays on a Wednesday evening 19th July – 30th August and 1 on 26th October plus accompanying roadshow and publicity. Wheels Festival 8th & 9th July 2017 – A ‘wheels’ based festival showcasing a wide variety of motorised and pedal driven vehicles located along the length of Great Yarmouth seafront. Gorleston Clifftop Festival – 29th – 30th July 2017 – Free family orientated festival with live music, stalls and activities on Gorleston Clifftop. GYTABIA to fund the fireworks at the close of the festival. 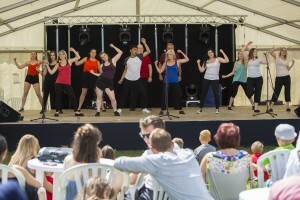 The festival brings everyone in the community together and attracts people from further afield and raises the profile of Gorleston year on year. Great Yarmouth Maritime Festival 9th & 10th September 2017 – A celebration of the rich maritime heritage of the Borough incorporating visiting vessels, maritime music, food and crafts. Out There Festival 16th & 17th September 2017 – A fabulous off the wall festival with a circus flavour. 1. How will this event impact on existing and new visitors? Ie will in bring new visitors to the Borough or merely move visitors from one area of the Borough to another? 2. Are we getting visitors to come the event or are we taking an event to the visitors? Ie where is the best site for a particular event? 3. Does the event stack up financially? Does the event generate any income to offset the cost? 4. Is the event a ‘one-off’ or does it have the potential to become a self-sustaining annual event. 5. Who will ‘champion’ the development of the event and what support is the ‘champion’ going to need? 6. Who will actually stage the event – ie translate the ideas into an actual event? Marcha Popular June 11th – Portugese Community & International day incorporating a parade with contemporary dance followed by a street party. Beach Volleyball – 25th & 26th June 2016 – Part of the UK Beach Volleyball Tour which visits 5 resort venues each year as qualifying rounds leading up to the season final. Great Yarmouth Fireworks – 6 displays on a Wednesday evening 27th July – 31st August and 1 on 26th October plus accompanying roadshow and publicity. National Schools Sailing Regatta Gorleston 25th – 29th July – A sailing week bringing international competitors to Gorleston but also the utilising the whole Borough for further sailing activities. the event organiser said that the GYTABIA support was invaluable with the BID sponsorship helping to make this years national sailing event possible. Gorleston Clifftop Festival – 30th-31st July – Free family orientated festival with live music, stalls and activities on Gorleston Clifftop. GYTABIA to fund the fireworks at the close of the festival. The festival brings everyone in the community together and attracts people from further afield and raises the profile of Gorleston year on year. Hopton Summer Fete & carnival Procession Recreation Ground Hopton 21st August – Musical theatre, stalls, arena events, carnival procession, flower demonstrations and much more. 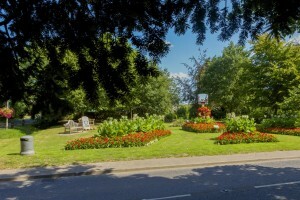 For the first year the event was able to provide something different for the visitors to the area with funding spent on a flower marquee which gained interest from local residents and visitors from far away. 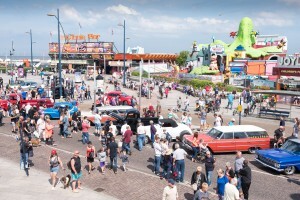 Wheels Festival 3rd & 4th September 2016 – A ‘wheels’ based festival showcasing a wide variety of motorised and pedal driven vehicles located along the length of Great Yarmouth seafront. 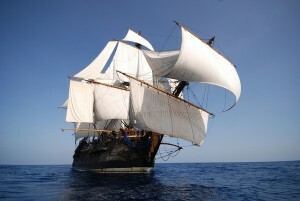 Great Yarmouth Maritime Festival 10th – 11th September – A celebration of the rich maritime heritage of the Borough incorporating visiting vessels, maritime music, food and crafts. Out There Festival 17th & 18th September 2016 – A fabulous off the wall festival with a circus flavour. With the support of the GYTABIA Out There have been able to secure £70,000 from the Arts Council England which ensured the festival is of sufficient scale and scope to continue to drive visitors from across the country to Great Yarmouth. Brush with the Broads 22nd – 26th September – A non profit making painting festival with workshops, demonstrations and prize exhibition based throughout the Broads and also in Great Yarmouth. BID funding has enabled a Brush with the Broads to be promoted at Art Events nationally. Great Yarmouth Film Festival – Development of an annual film and television festival celebrating the heritage and diversity of the Borough and the East of England. 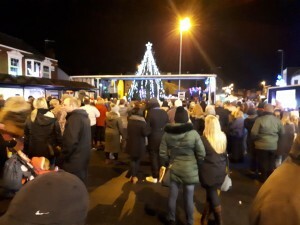 Gorleston Christmas Switch On Event – A Christmas tree light switch on event with entertainment, stalls, attractions & food in Gorleston High Street culminating in a firework display. 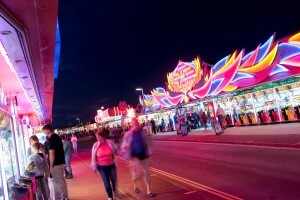 In 2014 a new Arts Festival was launched and staged around various venues in Great Yarmouth. The Board are keen to support groups with a passion to create and develop new initiatives and were therefore pleased to support the 2015 event. 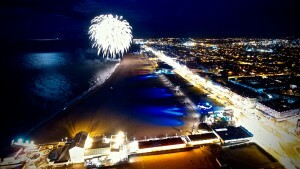 For over 5 years UK Beach Volleyball have held one of their qualifying heats on Central Beach in Great Yarmouth. In a break with tradition 2015 saw the event move to Gorleston Beach for their weekend tournament in June which attracted some of the top UK beach volleyball players from the UK and abroad. For many years the Greater Yarmouth Tourist Authority sponsored the fireworks at the end of the annual Cliff Top Festival in Gorleston. The new GYTABIA Board unanimously agreed to continue this support for 2015. To lay the foundations for a growing annual 2-day ‘wheel-based’ event to capitalise on the existing reputation as a venue visited by numerous vehicle clubs and societies. 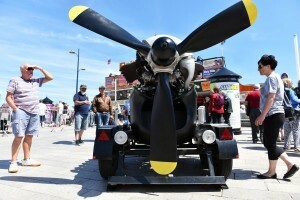 It is hoped in the future that venues throughout the Borough can be used as overnight bases prior to scheduled vehicle parades along the seafront. Brush with the Broads 22nd – 26th September 2015 – A non profit making painting festival with workshops, demonstrations and prize exhibition based throughout the Broads and also in Great Yarmouth. BID funding has enabled a Brush with the Broads to be promoted at Art Events nationally.